Carew Tower is the second tallest building in Cincinnati, however, it is still the highest elevated building in the city. Visit the 49th floor Observation Deck for panoramic views of the region. Observation deck and gift shop are open Monday-Thursday, 9:00 a.m.-5:30 p.m.; Friday, 9:00 a.m.-6:00 p.m.; Saturday and Sunday, 10:00 - 7:00 PM. 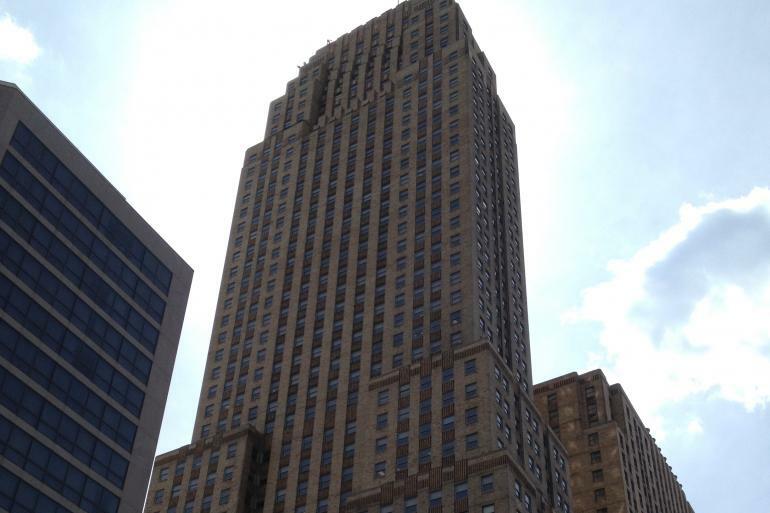 Completed in 1930, Carew Tower stands 49 stories tall in the heart of downtown Cincinnati. Visitors to the 49th floor Observation Deck can enjoy one of the city's most spectacular views plus pick up a Cincinnati souvenier in the gift shop. Carew Tower is also home to 25 shops, restaurants, and other amenities including the Hilton Cincinnati Netherland Plaza and offices.